Home » [PC] Review » Osu! Elite Beat Agents and possibly Osu! Tatakae! Ouendan! 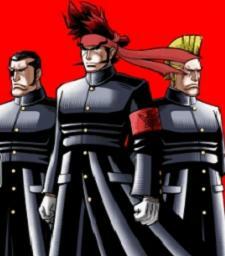 If you liked Elite Beat Agents enough youd know Ouendan. Some neat people have made a pc version of this type of game. Osu! runs off community submitted tracks so youll find alot of copyrighted songs on there mixed into Osu! form. You play with the mouse and clicking so its a little bit harder.